A bike ride along the Diamond Creek Trail has become a whole lot easier for people with disability and their families, thanks to the construction of a shed to store adaptive bikes. The Brotherhood of St Laurence are proud to have partnered with Nillumbik Shire Council and the Australian Government in funding a storage facility for heavy adaptive bikes near the Diamond Creek Trail. Combined grants of $15,000 have been awarded to build the storage facility. 1 March marks the official launch date for the National Disability Insurance Scheme (NDIS) in Hume Moreland. The co-location of the Brotherhood Local Area Coordination and the National Disability Insurance Agency (NDIA) staff at the newly opened Broadmeadows office is a national first. The Brotherhood of St Laurence are the local Partners in the Community in the delivery of the National Disability Insurance Scheme (NDIS) in the Hume Moreland area. The Brotherhood Service Provider Forum held last Friday, February 9 was a great chance to engage in productive discussions with service providers across Bayside Peninsula. Held at Phoenix Park Community Centre in Malvern East, the forum was aimed at providers across the Stonnington, Glen Eira, Bayside and Port Phillip areas. Summer is a fantastic time of year to enjoy outdoor activities with loved ones. Funfields at Whittlesea is working with local autism support groups to host a sensory friendly family day. The family day will be held on Tuesday, February 27 from 10:00am – 4:30pm. This special event will include discounted ticket prices and significantly smaller crowds, providing a welcoming and inclusive environment for children and families. Tickets are available on the Funfields website. The Brotherhood of St Laurence are proud to have partnered with Nillumbik Shire Council to work towards creating more inclusive opportunities for all local residents. The Council has recently been announced as a recipient of the Stronger Communities Programme Round 3 grant, with additional funding to be provided by the Brotherhood to bring the project to reality. The Stronger Communities Programme supports the Australian Government’s commitment to help deliver social benefits in communities across Australia. St Kilda is now home to Australia’s most accessible beach, following Port Phillip Council’s launch on December 9 of beach wheelchairs and matting to ensure people with disabilities can enjoy a day at the Bay. 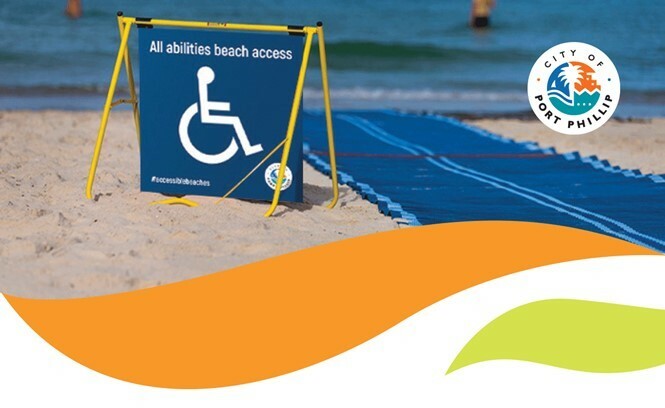 The accessible beach launch is an integrated support – it couples with nearby accessible tram stops and a changing places fully accessible change room and toilet (MLAK key required). 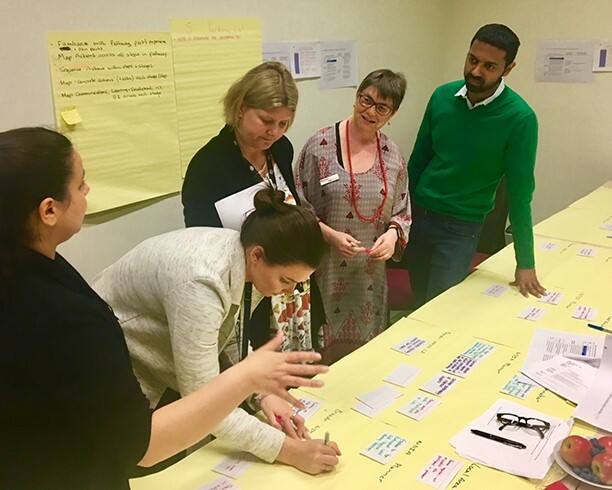 Members of the Brotherhood LAC team are currently hard at work at the NDIA Design Hub in Geelong, assisting in the Participant Pathway Review program. The Participant Pathway Review program aimed to produce a new pathway that would improve the experience participants have with the NDIS. To commence celebrations for International Day of People with Disability, the City of Port Phillip are officially launching new beach matting and beach wheelchairs. This will allow people with a disability to access the shoreline at St Kilda beach and Port Melbourne beaches in Victoria.